One item which does not quite fit the bill is Stock because that is partly ‘used up’ but there is still some left to go into the balance sheet. The solution is quite simple: we do not actually buy or sell ‘Stock’ We make Purchases and these get ‘used up’ when they are turned into stock We make Sales and these get ‘used up’ when they are turned into debtors or cash. – These are both, therefore, revenue items. An asset has appeared on the Balance Sheet worth £5000 so this must be capital expenditure. NB: capital expenditure includes all costs involved in obtaining the asset. 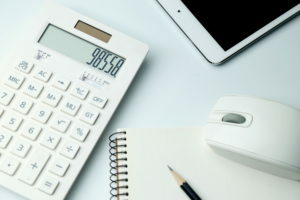 Sometimes an item is not completely “used up” during the accounting period – what if we pay the rent for the next 12 months in September and our year end is only 3 months later? In this case the unused part of the rent is carried over in the balance sheet as a prepayment in the current assets section. The same applies to unsold stock at the end of the period. These are still classed as revenue expenditure.